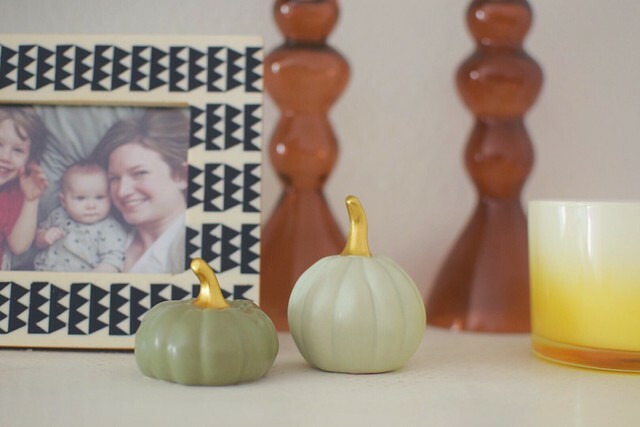 + I found these adorable pumpkins for only $1 at Target today, and I do believe they make my life complete. And, no, I'm not waiting until October to put them on our mantle because I have no shame. + My mom recently sent me some books I've been wanting to read for ages and I couldn't wait to begin reading this one. (I'm already halfway through it and know this will be one I re-read over and over!) Next up will be A Charlotte Mason Companion and A Charlotte Mason Education. Clearly, I'm borderline obsessed with all things Charlotte Mason right now, so I'm eager to read all I can as I work on creating a home and learning environment that embodies much of her teaching philosophy. She's definitely a soul sister (from many years ago). + Both girls are napping this afternoon (yes, my 6 year old still naps every now and then—and if she doesn't actually sleep, she still has an hour of quiet time every afternoon while my youngest sleeps). I ran out of to-dos on my list for nap time, so I actually managed to have time to blog in the middle of the day! It's like I'm reliving my youth, I tell you. + I turn thirty-three this week, which feels perfect. My thirties have been so good to me. I didn't listen to it, but I did read Rabia's book & am so glad I did. It was fascinating, & so deep & well-written. But also, duh: We have the actual same taste in books! Seriously! It's a bummer to me that we don't live close enough to have an actual book club. You must continue recommending anything you end up loving, please and thank you! And I'm glad you enjoyed the book, too. I'm listening to her quote the closing argument for the second trial and my mind is just blown by how terrible the attorney did. It makes it much more clear than Serial did, just why Adnan was found guilty so quickly and unanimously. Even though I know the book is written by someone close to Adnan, she is using actual facts and commentary from the trial, and you can't change that! Pretty fascinating. Those little pumpkins are so cute, Target seriously has the best things in their dollar section sometimes. And hurray for double naps! Woo!